Hiro (Kyoto, Japan) on 1 July 2016 in Plant & Nature. The image carries the feeling so so well . .
Beautiful capture of the drop ! Great shiny effect, beautiful focus on the drop! 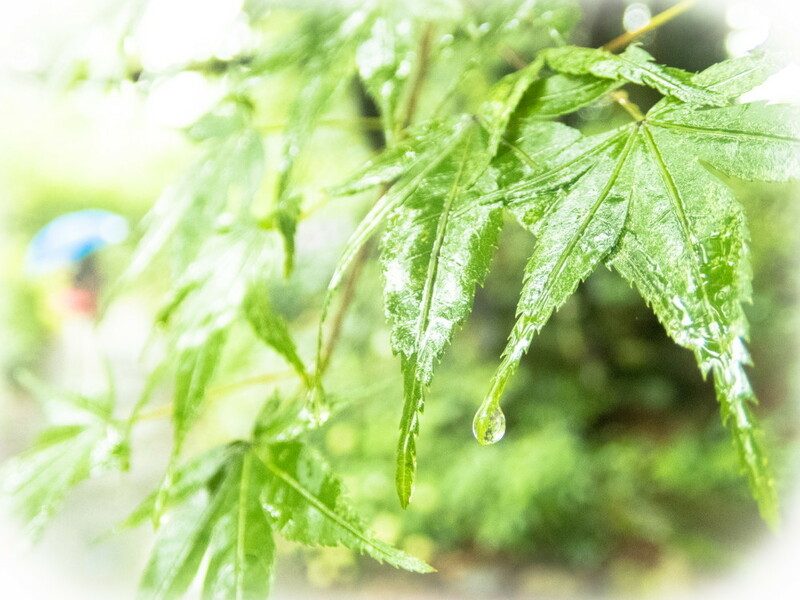 We saw in Tv yesterday that it was raining a lot near Kyoto!! Beautiful focus, depth, and processing. This over green makes me feel good ! @k@: I hope the blue does not make you blue. The blue is my wife's umbrella. Great shot! I love it !